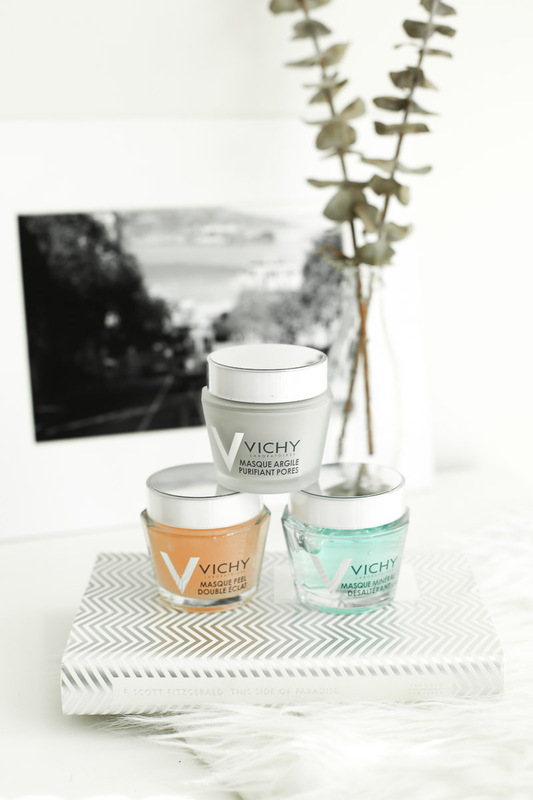 Every week, on Friday, I like to set aside an hour or two (depending on my work schedule) to treat myself to a few beauty rituals and spa treatments. With a glass of tea or wine, candles burning and magazines to read, it’s a fun way to unwind from the week while also knocking out one of the many things that us girls have to do to stay looking prim and proper. Between eyebrow plucking, hair waxing, skin scrubbing, root dying, sunless tanning, nail painting and face masking, there’s a lot involved, so I figure why not make it fun? Throw getting ready for a big event, like NYFW, into the mix and you’re tacking on even more time and treatments. As my husband likes to joke, it ain't easy being a girl! Luckily, for this NYFW, my friends at BabbleBoxx sent over a glam squad in the form of some fabulous goodies to make getting fashion week ready easier. While my mask(s) set, I prep the rest of my skin by dry brushing, rinsing with warm water and using Tree Hut Bare Moisturizing Shave Oil (which is specially formulated with oils like Jojoba Oil and Grape Seed Oil) to shave. The shave oil is super soft and silky (and smells divine!!!) and leaves my legs with luxuriously smooth skin. After I’m cleansed, scrubbed, rinsed and ready, I move on to my crazy curly locks. Reigning them in is a special kind of job that requires lots of special tools. Paul Mitchell’s products are one of the few that make the cut. The Awapuhi Wild Ginger HYDROCREAM WHIP® is great for smoothing frizz while also adding volume, hydration and silky style, whether you’re going naturally curly or blowing it out straight. A little product goes a long way, meaning the bottle will last you all fashion week and well beyond. And the incredible tropical ginger scent isn't bad, either! 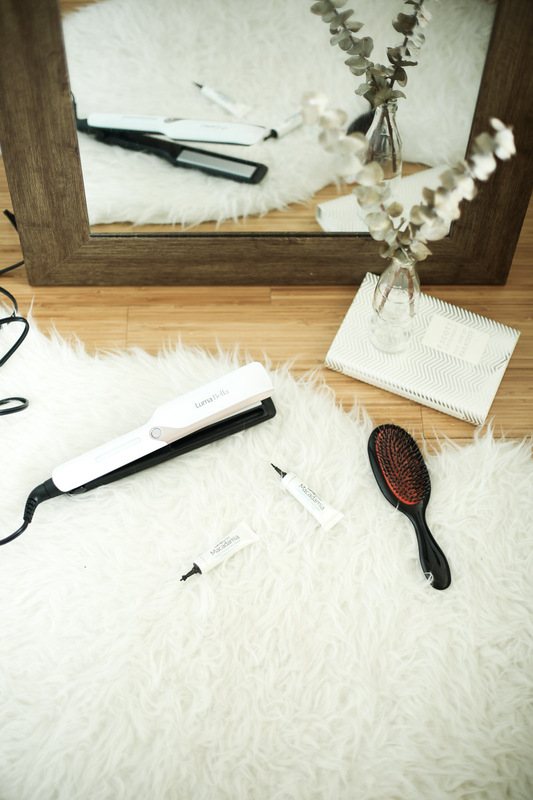 Because my hair is easier for me to style when it’s straight, I use the LumaBella Cool Mist Straightener to make it sleek and smooth. 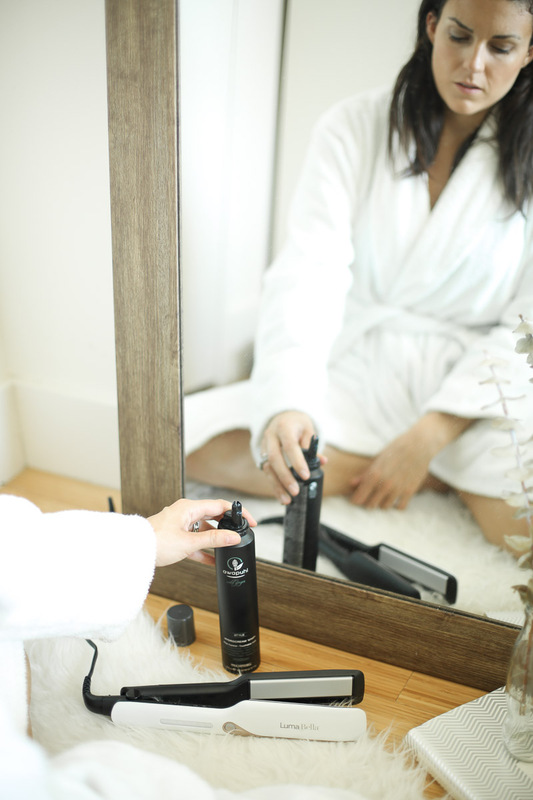 I love that the straightener even has a cool mist setting so you can add an extra boost of shine to your hair with their Macadamia Conditioning Treatment. After that, all’s that is left for me to do is apply my makeup, throw on a trendy look, grab my phone in my Otterbox Symmetry Series Case and go. Because I’m running around so much in between events and activities, and yes, stopping for coffee and food, it’s nice knowing my phone in not only the best iPhone case (This case has the Certified Drop + protection seal. ), but also is one that is super stylish (Hello, Swarovski crystals!). By the way, you can get 20% + free domestic shipping your own stylish iPhone case when you use code OTTERBOXBABBLEBOXX at checkout (code is case sensitive and good until 12/31/2016). So ladies, spill the deets! How do you get ready for NYFW or a big event? Any spa rituals or special treatments you like to do?